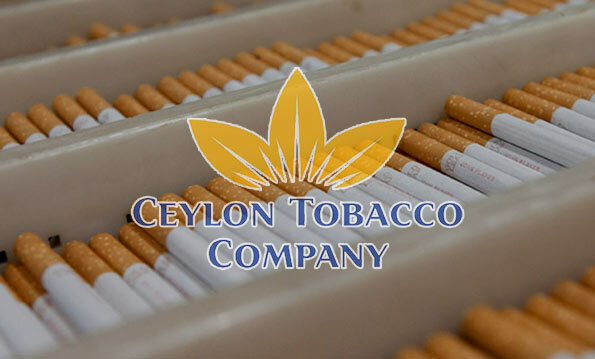 Ceylon Tobacco Company (CTC) yesterday said it wouldn’t provide funds to the government outside the current tax regime under any circumstances. Asked whether the government had sought funds from CTC to the tune of Rs. 500 mn to be utilised by the President’s Fund as envisaged in Budget 2017, Michael Koest, Managing Director and CEO of CTC told The Island that the government hadn’t asked for any such sponsorship; nor would the company part with funds even if such a request was ever made. Koest took over operations here in March this year. Acknowledging that there had been an on-going debate over whether the government could obtain the same amount of revenue from CTC by way of a special tax, Koest reiterated that the company would abide by current tax regime. Finance Minister Karunanayake recently requested the CTC to donate Rs. 500 mn to the Presidential Fund to be utilized by the Presidential Task Force for the anti-smoking campaign. The UNP heavyweight incurred the wrath of the anti-tobacco lobby for seeking CTC support in contravention of Article 13 of the WHO Framework Convention on Tobacco Control (FCTC). Sri Lanka is one of the key signatories to this convention. Responding to another query, Koest stressed that the CTC wouldn’t seek the intervention of the British High Commission in Colombo on its behalf, a member of the British-American Group. Commenting on the status of the local operation in the wake of latest hike in cigarette prices due to enhanced excise duties, VAT as well as gains made by the beedi industry, Koest asserted that there would be a sharp drop in taxes paid by the CTC to the government in 2017. According to him, the CTC estimated taxes to be paid approximately at Rs. 85 bn whereas the government foresaw Rs 122 bn in tax revenue. Excise tax amounting to Rs 7 and 15 per cent VAT imposed on Oct. 4 and Nov 1, 2016, respectively, on the sale of a cigarette had caused a massive slump in sales According to figures made available by the CTC, during January-September, 2016, the average monthly sale of cigarettes had been approximately 330 mn. The sales had dropped to 150 mn cigarettes each in October and November though the CTC expected an increase to the tune of 30 mn cigarettes in December. Finance Minister Karunanayake is on record as having said that revenue would surpass recurrent expenditure from 2017 onwards. He said that it would be a notable shift from the past. Having considered current situation, the CTC had closed four depots, Koest said, adding that one distributor had gone bankrupt. Depending on the developments, the CTC would decide next course of action, Koest said that a further sharp increase in prices and resultant decline in sales would certainly make the local operation vulnerable to closure.